Review: Thank you to NetGalley and Random House Children’s books for the early copy in exchange for my honest review. Right from the first page you can tell this book will be great for children to study in an English class where they will study and rip the book apart with the analysis of what this means and where it will lead too. So where do we start? The icy climb to a secluded cave where amongst the dead bodies there is Callum Hunt, a baby like no other, a baby a mother would kill. Callum is a boy who is both hungry for the power he knows resides in him, but also aware from his father that this magic is not to be used. He is scared but intrigued by the thoughts of using his powers. He has a limp with a damaged leg and still strives to meet many obstacles head on although he may not be able. Tamara is the youngest child of a proud and pushy family. She is constantly judged on her magical prowess and her demeanour in the public eye. Really she is a loyal friend and a knows that sometimes rules are there to be broken. Aaron is the final of this trio, he was a loner who becomes firm friends with Call and Tamara and is the joker of the group. He is powerful and strong willed although kind, he would never turn his back on his friends and trusts them deeply. All three children were selected by Professor Rufus to be his apprentices to learn their magical craft. They form as a team throughout the book and look out for each other to make sure no one is bogged down by what they are learning or their disabilities. This is quite a dark book overall, with the different sections of magic, chaos magic is always mentioned and always pressed upon, and the wars always mentioned. Saying that, this book is well suitable for children 11+, mainly for some of the more complicated words in the book which younger children may struggle to understand or comprehend. 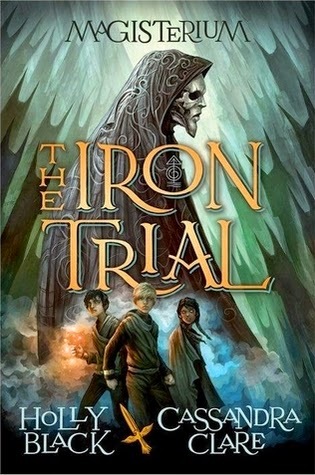 The writing of this book is Holly and Cassie’s usual engaging style which brings the reader right into the world of the Magisterium where there are dark tunnels and deadly creatures. There is a love of developing characters in this book, we don’t only get to know are main three, but some of the other children in their year, we get to know what makes them tick and why they behave the way they do. This helps enhance the story in such away that you WANT to know what is happening to them, even when the focus is on the trio. I applaud the authors in this as it can be a difficult task to make sure that the readers are interested in everything about the world, not just the main characters tunnel vision view of it. The story is fast paced and easy enough to understand, always leaving you with the thought that all is not as it seems. Holly and Cassie craft some little twists and turns that aren’t often seen in this genre and is going against what we usually know. It is well thought plot and i’m sure the next book will be equally engaging. So go on, give it a go! Next Post Keeping up with Read Between the Scenes.